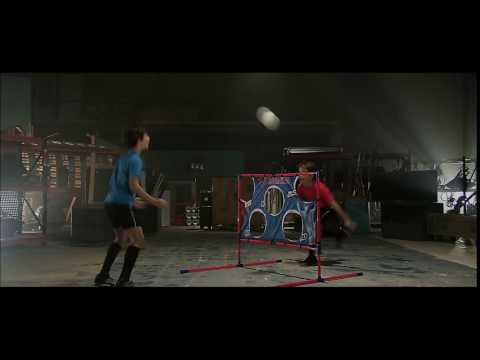 Take football training to a whole new level of expertise with the Messi 2 in 1 Footvollley! Practice heading and chesting by challenging your friend to a match with the Footvolley– See who can score the most game points by shooting into the target holes! Then in a few easy steps, re-arrange the detachable posts and transform the Footvolley into a normal Target Goal! Are you up for the challenge?